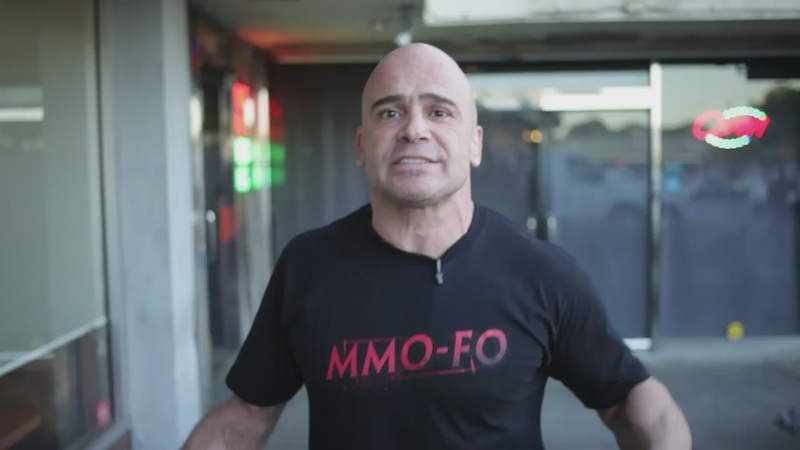 After a brief pause to terrorise a poor actor in his kitchen set, Tera spokes-maniac Bas Rutten takes the message of action MMO combat on the road. What surprises me most about this latest entry in the MMO-FO series of viral advertisements for En Masse Entertainment's upcoming MMO release? I didn't realise people in North America went to LAN centres to play MMOs. It seems like the least cost-efficient solution to participating in such a time-consuming activity. I could see stopping by a LAN centre to play a couple of rounds of Battlefield 3. Hurling insults when the other players can hear you is fun. But World of Warcraft? Lord of the Rings Online? I guess it happens; I just cannot fathom it. I really like Bas Rutten, as a fighter, personality and presenter. These ads are pretty bad, though. Tera itself does interest me. Dull gameplay has been the main thing that's kept me away from MMOs. If the combat is actually good this could be the game that finally makes me understand their appeal.